This is the true story behind Wall Street legend Richard Dennis, his disciples, the Turtles, and the trading techniques that made them millionaires. What happens when ordinary people are taught a system to make extraordinary money? Richard Dennis made a fortune on Wall Street by investing according to a few simple rules. 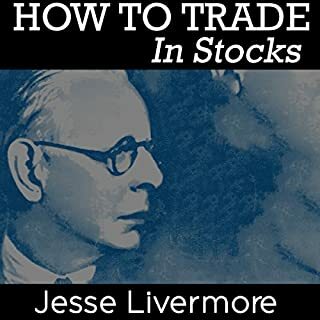 Convinced that great trading was a skill that could be taught to anyone, he made a bet with his partner and ran a classified ad in the Wall Street Journal looking for novices to train. His recruits, later known as the Turtles, had anything but traditional Wall Street backgrounds; they included a professional blackjack player, a pianist, and a fantasy game designer. For two weeks, Dennis taught them his investment rules and philosophy, and set them loose to start trading, each with a million dollars of his money. By the time the experiment ended, Dennis had made $100,000,000 from his Turtles and created one killer Wall Street legend. 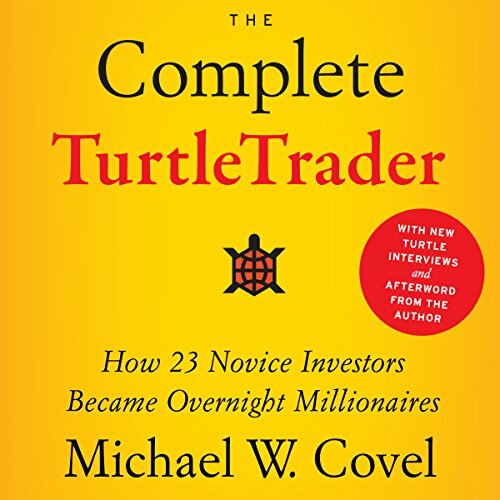 In The Complete Turtle Trader, Michael W. Covel, best-selling author of Trend Following and managing editor of TurtleTrader.com, the leading website on the Turtles, tells their riveting story with the first ever on-the-record interviews with individual Turtles. He describes how Dennis interviewed and selected his students, details their education and experiences while working for him, and breaks down the Turtle system and rules in full. He reveals how they made astounding fortunes, and follows their lives from the original experiment to the present day. Some have grown even wealthier than ever, and include some of today's top hedge fund managers. Equally important are those who passed along their approach to a second generation of Turtles, proving that the Turtles' system truly is reproducible, and that anyone with the discipline and the desire to succeed can do as well as - or even better than - Wall Street's top hedge fund wizards. These rules worked - and still work today - for everyone. Was a phenomenal book. Would love to have heard more about their trading rules and strategy though. great content and detail to put the story together. interview with Jerry was an amazing bonus. 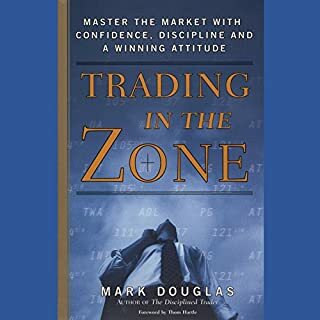 This book is for non-traders. You don't need to have any technical knowledge of trading to understand it and find it highly entertaining and informative. 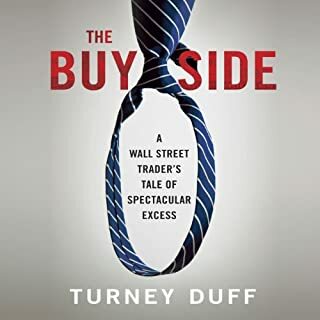 I recommend it, If anything, to learn about Richard Dennis and his reality TV style antics in the 80s futures markets. He basically put a craigslist ad up saying that anyone could apply to trade with his system of rules, no experience required, and he’d give them all 1 million dollars of his money to trade with. 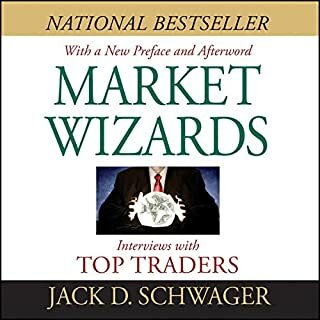 The majority of the people had no trading experience, they knew nothing about the markets they were trading in nor how to trade … but they were very successful, some of them are still trading today with their own billion dollar funds. While reading the book in 2013, it just so happened to be around when bitcoin popped. 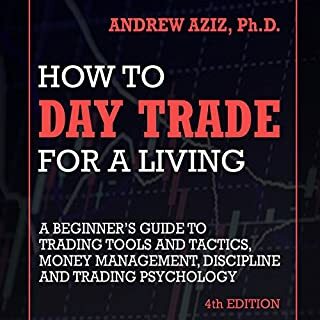 I started using his rules to trade altcoins and I made a bunch of money following his strategy laid out in the book! 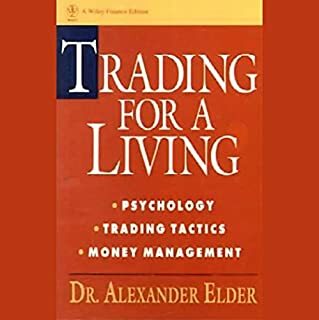 I've actually been using this book as a guideline to trade cryptocurrencies since then on and off, and I've netted well over 6 figures trading the turtle trading method. 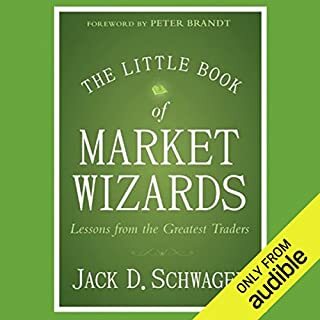 I was excited to see it released in audio format, I purchased it for a refresher course. 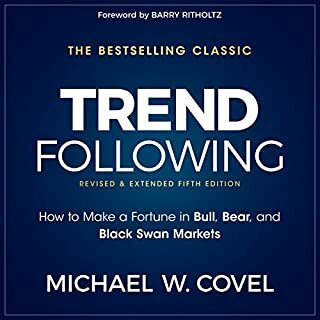 The author, Michael Covel has a great podcast, and some other trend following books. 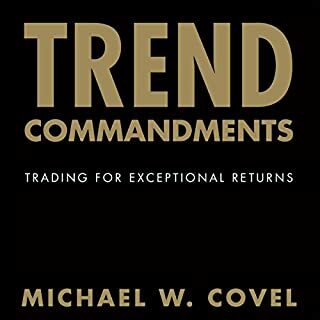 Don't bother with any of Covel's other books - Trend Following, Trend Commandments, etc are just rehashes of the same stories. There's no solid strategy in any of his other books. THIS is the one you want to get. 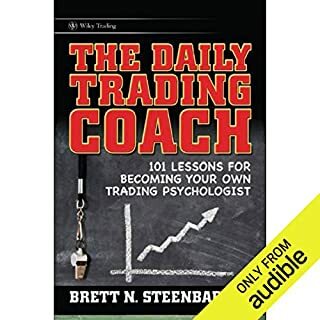 His other books are misleading, the titles sound like there will be strategies in the book that will help you make millions - when in fact it's just a bunch of stories about trend followers. Complete Turtle Trader actually has rules and data that you can use, test & modify. 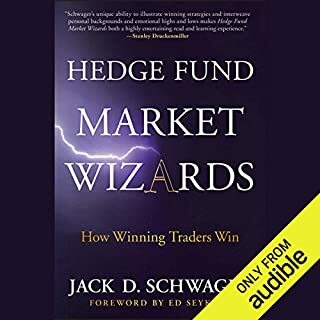 If you don't get this book you should at least subscribe to his podcast, in fact, in Covel's other audiobooks, he includes about 5 hours of his podcast episodes at the end ... just skip buying the other books and listen to the podcast episodes with the Tom Basso and other traders. Highly recommend this book (not his other ones). Thought it would have a lot more useful info to put to real world action. Basically it outlines a story mostly about an experiment of nature vs nurture. 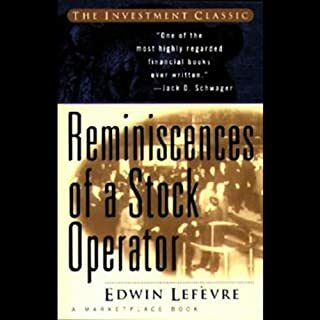 Good if your a stock market history nerd. I was expecting something I could put more into immediate action. Excellent book on the Turtles! I've heard the story of the Turtles a few times, and this book gives many of the details that were lacking in those other tellings. I feel like this was a quick read, and that it passed so quickly. A sure sign that this is great tale. The narration was good w/the slight variations to convey the characters & nuances of the Turtles when possible. 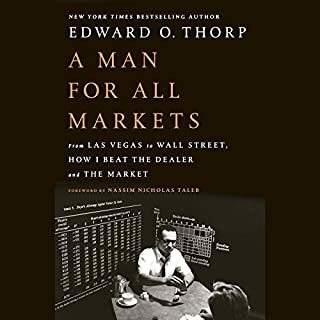 Overall, I gave it 5 stars because of the great story & its underlying, subtle message that may give hope to all investors: work hard & smart, trade the numbers, stick to the system, and anyone can potentially earn success in trading. I hope this eventually does become a movie! 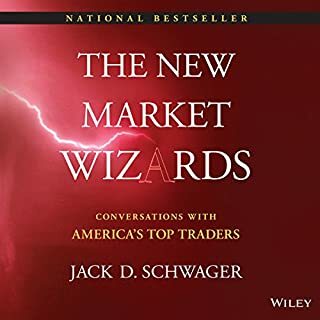 Great book on trend following! This is the story of Richard Dennis the "Prince of the Pit" and his incredible trend following trading system. I really enjoyed the first hand experiences of the turtles and learning about their trades. There is a large amount of detail here. Great start for any novice trader. 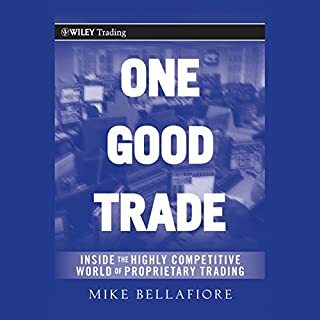 I bought this book thinking I was going to get an inside on how to trend trade. The information that gives on Trading is very little and not useful for the average trader. Engaging from start to finish! Makes me wish I was a Turtle. 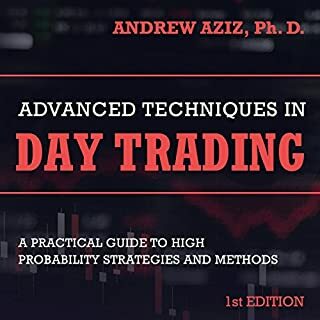 Time to learn everything I can about trend following! I am now converted. Trend following is my new way. I used to think that you need to scalp to maximize returns but I see the new light. I am just a perpetually skeptical attorney that is working to be a full time trader and I this gave me several aha moments. 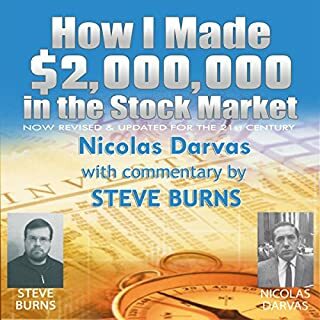 I just bought Covel's other book on audio and am now listening to that. Loved it. It just shows that, trading is no secret. Anyone can do it if they know the Methods, Mind and Money Management. The story of the turtles is one of great mystery, yet very inspiring. Although the author might be somewhat ‘aggressively’ defensive about the book at some times, the information seems to be well researched and curated. 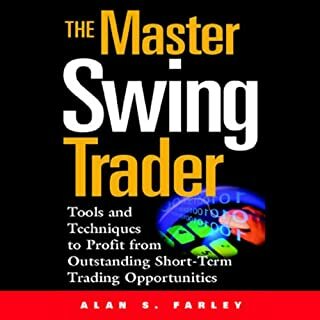 I thoroughly enjoyed the book, though I am not an experienced trader myself. Joel Richards is a very good narrator, and did a great job woth this book. What a waste of time. Ever read a book and conclude it had a lot of filler? This book is all filler. The whole contents of this book could be summarized into about 5-10 pages and you wouldn’t be missing anything of value at all from the whole book. Maybe there is a story there that’s worthy of the Hollywood movie someday, as the author suggests. Maybe. But that movie won’t use this book. I’m not even sure how to describe what’s wrong. But I’ll try. If this book were food, it would be rice cakes. If it were a beverage it would be flat Seven-up. If it were a fish it would be a Carp. If it was a citizen of Mayberry, it would be Howard Sprague. A color, gray. Get the idea?